We invite you to visit the websites of the organizations we belong to, and companies we partner with, to provide the highest level of service and value to our clients. Please click on the links below to learn more. trueNorth Wealth Advisors utilize Money Quotient (M.Q.) 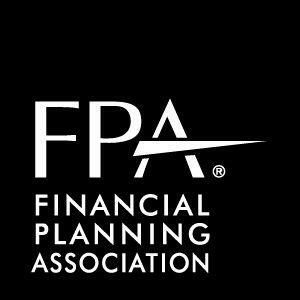 Financial Life Planning tools and training for professionals who want to make a difference in the lives of their clients. As a non-profit 501(c)(3) organization focused on education and research, their tools provide a life-centered approach that engages, enlightens, and empowers the clients we serve. Dimensional Fund Advisors is a leader in developing asset class portfolios for institutional investors and independent investment advisors. Dimensional’s mutual funds are designed to meet the needs of professional investors, and the firm’s resources are devoted to improving these strategies wherever possible. Fund shares are not available directly to individuals but are limited to clients of a select group of financial firms like trueNorth Wealth Advisors. Our relationship with Dimensional is long-standing and based on shared views about how capital markets work and how best to provide clients with a successful investment experience. Dimensional’s investment strategies are supported by extensive historical research, which documents a reward for taking risk. Since the firm was founded in 1981, Dimensional has continued to work with some of the worlds leading financial economists to develop and enhance its strategies. Schwab Institutional is a pioneering firm with a long history of working exclusively with independent financial advisors. Schwab is the largest provider of dedicated custodial services to the independent investment advisor community, and offers a variety of advantages such as the convenience of local branches, specialized institutional trading, banking, trust and pension services, cash management tools, and 24-hour online account access. Schwab provides cost-efficient access to the wealth management and investment products our clients need, with the financial safety and security that is crucial in today’s economic environment. Schwab is also a leader in technological innovation, which allows us to manage portfolios with efficiency and precision.